Gad was the seventh son of Jacob. His mother was Zilpah, who was Leah's maid. 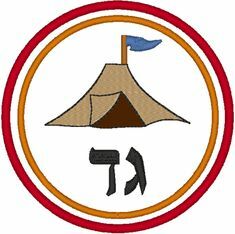 Gad's name comes from the Hebrew word troop. Leah named him Gad, saying, "A troop is coming." Gad was part of the plot to sell Joseph to Egypt. Gad made the journey with Jacob and the family from Paden Aram to Canaan, and later, to Egypt. He was later sent to Egypt to buy corn during the famine Canaan. Gad would later move to Egypt and lived there with his seven sons. Jacob blessed Gad on his deathbed.